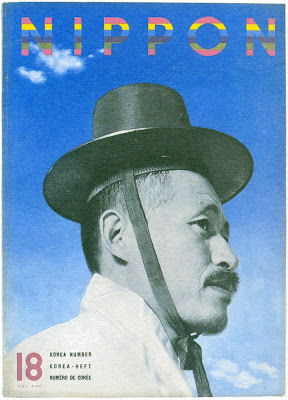 Yônosuke Natori (1910-62) was a professional photographer, founder of “Nippon Studio” and publisher of the international, multilanguage magazine “Nippon” (Japan). With his studio and the magazine Yonosuke Natori introduced to Japan cutting-edge photographic techniques and design that he studied in Germany. The magazine was designed to promote Japanese culture to the West and was published in English, French, German and Spanish until 1944. Utilizing designs and techniques from German magazines “Nippon” was much higher in quality than other magazines of the same kind in prewar Japan, but became a very rare item soon, since most of its copies were distributed overseas.“Nippon” magazine is very hard to find in Japan, even in specialized libraries.